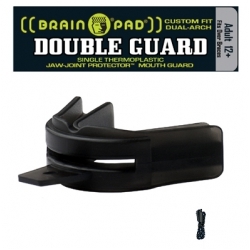 The New "Double Guard" Mouthguard! 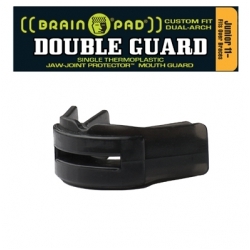 Covers & Protects ALL TEETH! 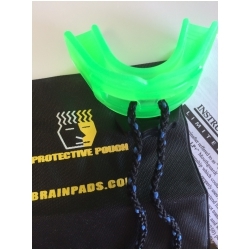 Center Breath Space - Allows Breathing While Clenching! Great Starter Piece for Contact Sports competitors! Single thermoplastic offers great consumer value! Tradditional strap-tab design for helmeted sports. Or, smooth front, non-strap design. 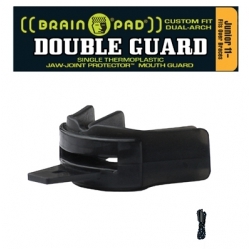 Confident fit when compared to upper-type lesser guards.